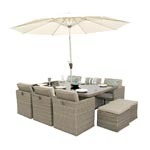 The 4 Seat outdoor square dining Set from the DECO alfresco is absolutely perfect for interment dinners or family barbeques, which require that little bit of extra outdoor dining space. 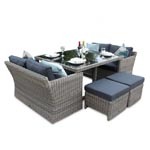 Built with quality PE Rattan and aluminium, with the 4 chairs having zipped covers, the 4 seat outdoor dining set is incredibly lightweight and can be moved around with ease. 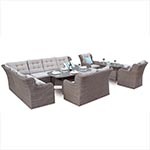 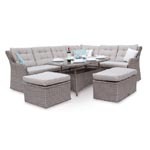 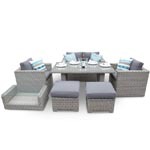 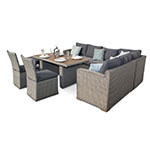 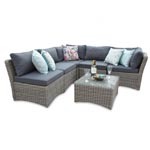 Designed with a distinctive natural weave rattan that will complement any space, this 4 seater Table Set is a brilliant outdoor entertainment piece with the style and sophistication of the indoors, coupled with the practicality needed for a dining set. 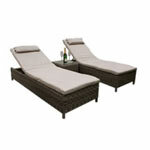 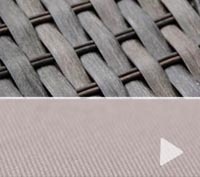 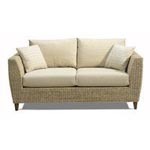 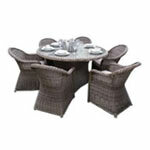 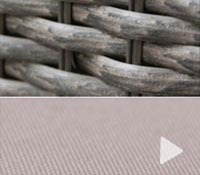 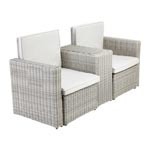 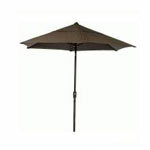 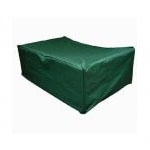 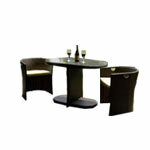 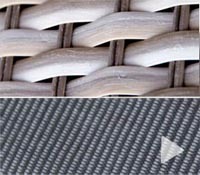 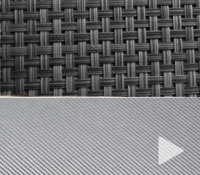 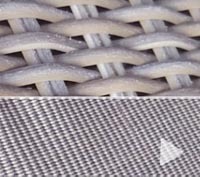 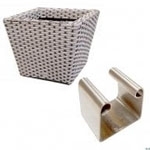 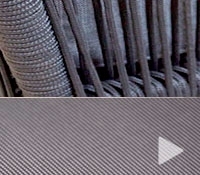 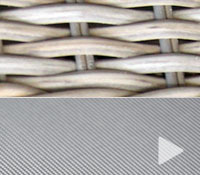 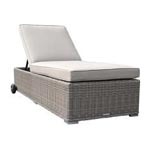 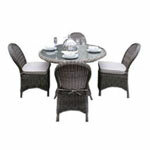 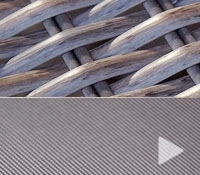 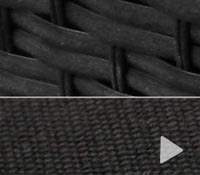 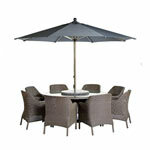 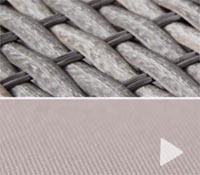 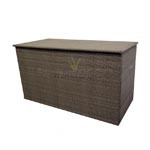 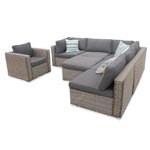 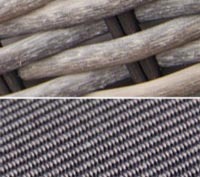 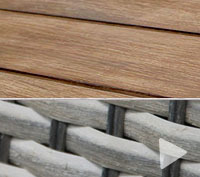 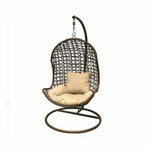 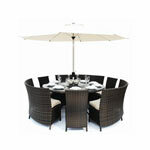 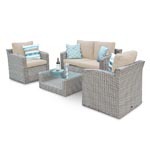 - Mix Brown Rattan with Natural Looking 12mm flat PE weave which is a synthetic wicker fibre.